Monarch Air Group is proud to offer jet charter service with a wide range of personalized options to meet your specific needs when it comes to amenities, services, and aircraft options. No matter what choices you make, your safety and privacy always remain a high priority. Our fast-paced clientele take full advantage of the countless routes on the Monarch map, but the journey between Chicago and Miami is certainly a popular one. We are committed your convenience, and therefore offer our services at all major airports in both of these regions — in the Chicago area, that means MDW, ORD, PWK, DPA, LOT, RFD, GYY, KIGQ, 3CK, and 8N2 airports, while in the Miami area, your options include Opa-Locka Executive Airport (OPF), Miami International Airport (MIA), Kendall-Tamiami Executive Airport (TMB), Fort Lauderdale Executive Airport (FXE), and Fort Lauderdale-Hollywood International Airport (FLL). Choose from thousands of cutting-edge aircraft — from our own private fleet based in Ft. Lauderdale, and from pre-approved vendors though joint venture agreements — and discover the perfect jet for your specific needs. No matter the aircraft, this approximately 3-hour flight is, conveniently, nonstop. 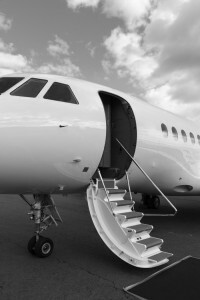 When it comes to private jets, the most economical option still has a lot to offer. Light sized jets are designed for optimum speed, agility, efficiency, privacy, and grant you the greatest access to local runways. Accommodations usually include seating for up to 6-8 passengers. Cabins in this category are just under 5’ tall. Choose between light sized jets like the Citation series, Hawker 400XP, Lear 31 or 35, and Lear 40 or 45, among others. A larger cabin size doesn’t have to mean sacrificing performance or economy. If you need something a bit roomier, Monarch offers a wide range of midsized aircraft, including the Hawker 800XP, Lear 60XR, Falcon 50, and the Citation XLS to name a few. Typical cabin height varies between 5’7 and 5’9 ft. Midsized jets boast plenty of legroom for eight passengers, as well as an additional luggage compartment. Your flight should be as comfortable and productive as possible, so aircraft of this class can also come equipped with amenities like WiFi, digital entertainment, refreshments, and food catering. Heavy jets (including but not limited to top-of-the-line luxury airliners, for our most discerning clients), make up the most elite class of private aircraft on the market, with impressive long-range speed and altitude capabilities, and the widest selection of amenities to match. Jets of this category are, of course, the most spacious, with a full 6 ft of interior cabin height and plenty of room to seat up to sixteen passengers — some even come equipped with seats that recline into full-length beds. Your options in this class include the Gulfstream GIV, G450, GV, Falcon 900 series, the 7X, the Bombardier Challenger, and the Global. We are available anytime and will be happy to help you book your nonstop private air charter. Start by filling out the quote estimate form or call (954) 359-0059 directly.